Incredible opportunity to live in Lakewood Ranch without the CDD fees. Willowbrook is a wonderful gated community minutes away from Lakewood Ranch Main Street, Hospital, St Marco Plaza, restaurants, stores. movie theater, UTC Mall and also A rated schools. 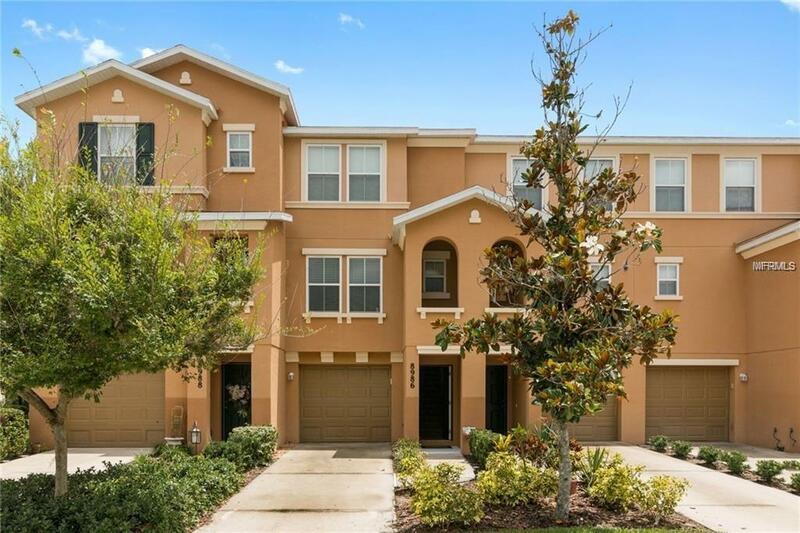 This beautiful townhome has the main living area on the second floor with open floor plan concept, dining area off the the kitchen with a convenient kitchen island, pantry and half a bathroom. You will enjoy spending time on the balcony off the dining area overlooking a peaceful green nature preserve with your coffee in the morning and drink of choice in the evening. The two bedrooms each of which has its own bathroom are located on the third floor, the Master bedroom also has a balcony with the same nature views. Extra large laundry room off the hallway provides more storage. Two car tandem parking garage. Perfect starter, vacation home or investment property with great community amenities and maintenance free lifestyle you will love!